crafting with katie: More New Jinger Adams' Products! Yesterday I shared a post about Jinger Adams' new Crafty Armoire. Here's another look at it! Isn't this the best idea? And today I have something else new to share with you: the new Jinger Adams' Sweet Tart line! I can't wait to play with these adorable goodies!!! 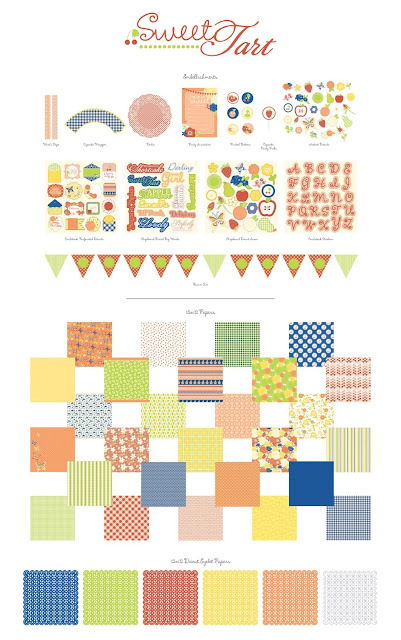 Check out all of the fun extras: washi tape, cupcake wrappers, even diecut eyelet papers! 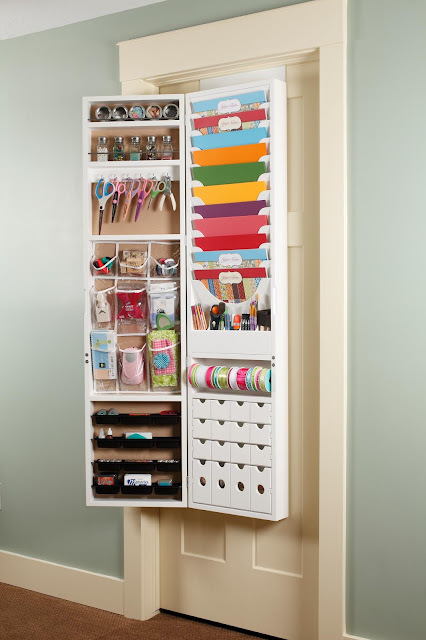 I LOVE this Armoire idea!!! The paper looks GREAT too! Thanks for sharing! Love the door storage! I definitely want one for my craft room. Do you know when it comes out, and how much it will cost? love the Armoire, would work great in my craft room !!! Oh I saw this I'm defintly be buying.